Great Asian Fusion Style Restaurant on Ventura Blvd in the high income area of Woodland Hills. This unique Restaurants food creations sends the customers home satisfied over and over again. Restaurant has a Beer and Wine License. This restaurant is well equipped and has been kept up very well. Upon walking in the front door it has a nice warm feel. 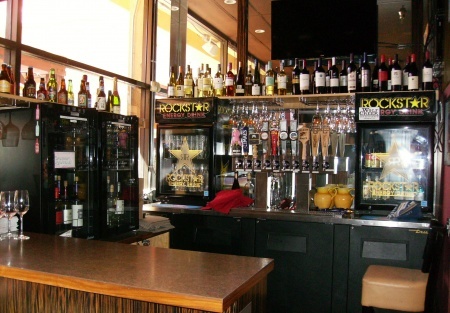 Current owner took over an older restaurant in 2010,came in cleaned the place up, added the equipment he needed for his style of cooking, added many upgrades and has been doing very well ever since. You can see the pride of ownership throughout the customer areas as well as the kitchen area.Then the Pato adds to the dinning enjoyment of guests, there are 4 built in heaters for those cooler winter nights. Owner has 2 other locations as well and has found that his time is needed more at the new larger location and without being able to spend the time needed at this location has seen sales begin to slip so he is back rebuilding sales again. Restaurant throws a nice profit that Seller will discuss with buyer but he has priced this as an asset sale even though sale have been in the $450,000 range (these sales have not been verified by SellingRestaurants and Buyer should do their own verification). Because of the other 2 locations the business name is not included in sale. Seller will train buyer on food preparations of menu items if buyer continues with current menu style. Cooks are well trained as well and would consider staying with new owner. Restaurant seats 48 people inside and another 28 on the Patio. The restaurant has amazing reviews on Yelp with 4 stars given from over 120 customer reviews. Heres what customers are saying. -"I have no idea why this spot has eluded my radar for so long. Love both Thai and Vietnamese food, so this was a no-brainer...."
-"Delicious authentic Thai food with great service. We ordered an entree of duck leg with bok choy and an order of yellow curry. The roasted duck leg quarter was delicious! It was cooked to perfection and presentation was nice as well...."
The reviews go on and on. Go to SellingRestaurants.com to get the name and addrss as well as photos of this business. Expires March 31, 2016 + 3 year option.